Bored with store-bought baked goods? 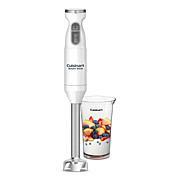 Mix things up a bit and make your own with some help from Cuisinart. 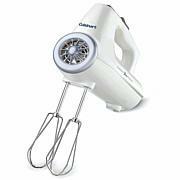 This mixer's 500-watt motor is powerful enough to handle heavy mixing tasks, and its 12 speeds give you precise control, helping you render perfect results. 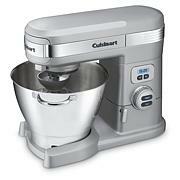 With a 5.5-quart bowl, it's poised to prep for a crowd so that you'll be equipped to make the cake for your next party. 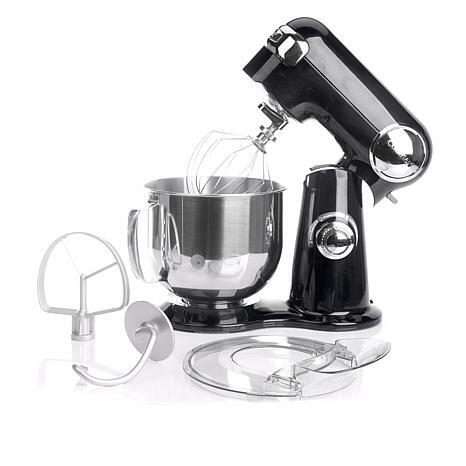 I love it and it came just in time for Christmas so I could make my red velvet 4 layer cake. I've had my mixer abt a week now and i finally made a homemade choc cake with choc buttercream icing. I love the performance. Next i'll be making homemade rolls. It is a good product but not for my professional needs .I need something a little more powerful although this is great for everyday HOME use. I was so excited to purchase this, it is beautiful but I tried to use a cake mix and it was fine until I began to pour into cake pan! More than half of mix was in the bottom of mixing bowl, dry, and untouched!not to be outdone I used a whisk. 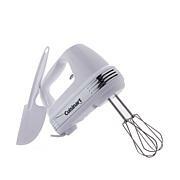 Sad but mixing by hand for free works better than this expensive stand mixer!